and British at its Best. 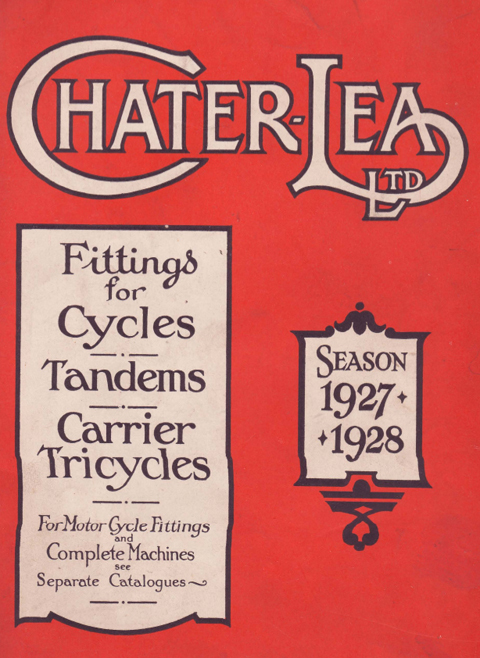 ESTABLISHED 1890: For 37 years Chater-Lea Ltd have manufactured cycle and tandem components and complete machines, and as ideas in construction develop, the Chater-Lea continues in the forefront unbeaten for strength, efficiency, and in the quality of workmanship. Today, as always, Chater-Lea is the best: no freakish design, no sensational stunts, just solid quality in every detail. 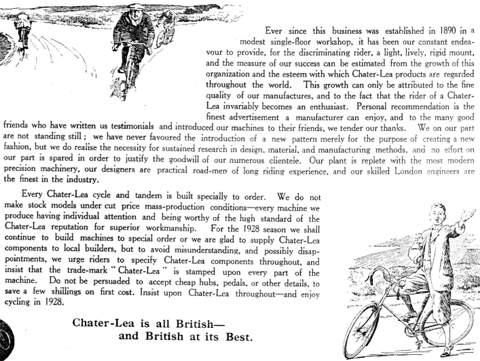 The superiority of the Chater-Lea is abundantly demonstrated in the hubs, pedals, bearings, chainwheels, etc and in these important details particularly, Chater-Lea excellence of workmanship will make a vast difference in the running of a machine. 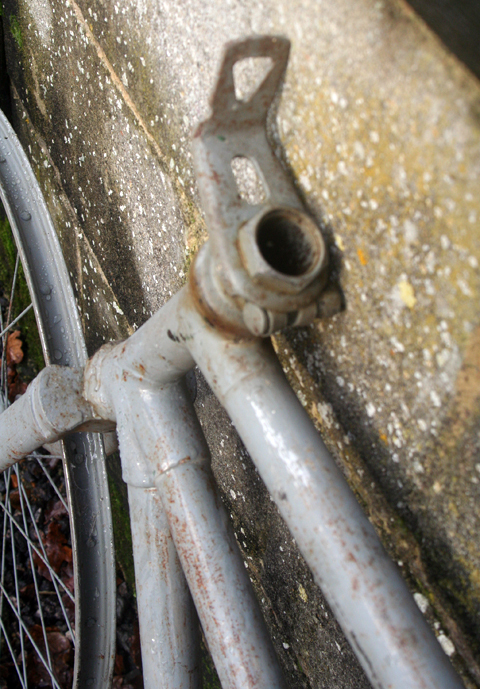 To the uninitiated it might appear that little skill is necessary in the production of bicycle lugs. 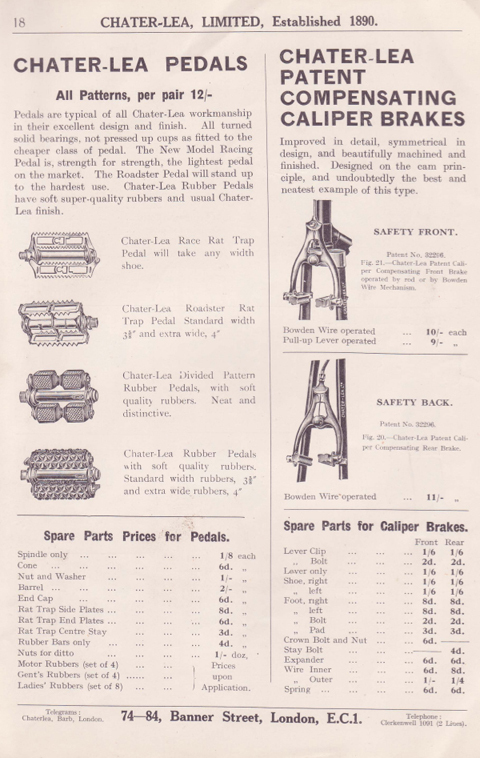 We wish therefore to refer particularly to the fine machining and dainty outline of Chater-Lea lugs, which are tapered to a feather-edge and contribute to the superior appearance of any machine built with Chater-Lea components. Insist upon Chater-Lea fittings throughout and you own the World’s Best. There is no second grade. 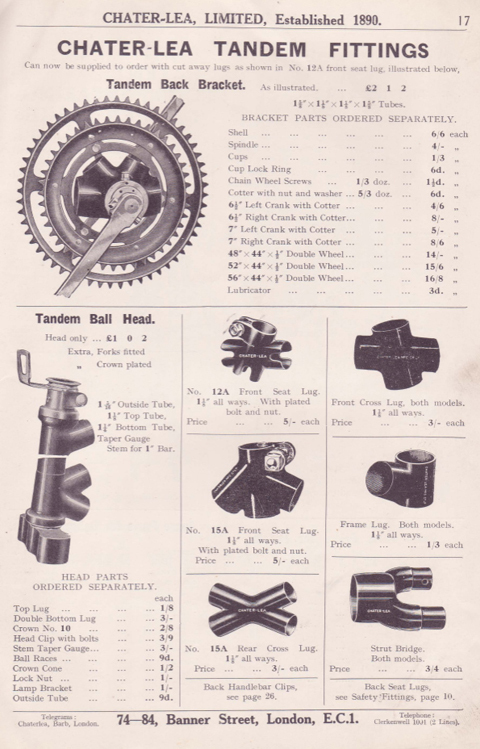 Every machinery operation and detail process (hardening, grinding, sand-blasting, filing, polishing, etc) is subject to the most exacting supervision, ensuring that standard of perfection for which the trade mark Chater-Lea had ever been famous. There is no necessity for us to make extravagant claims for Chater-Lea machines: our world-wide popularity is proof that we do satisfy our clients. 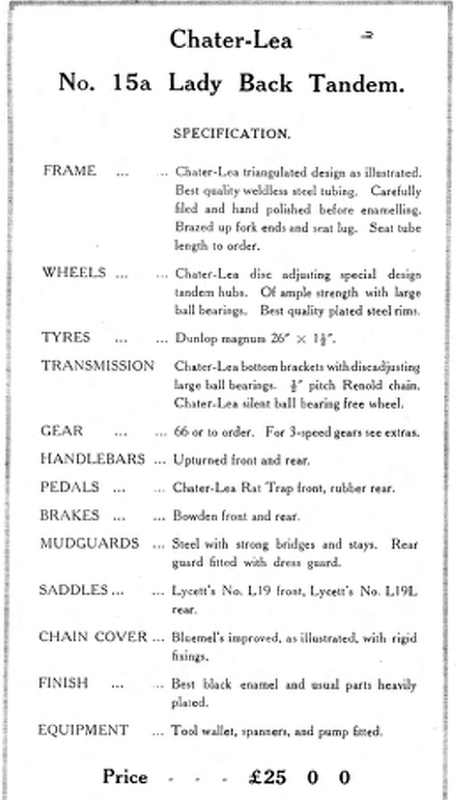 Do not be misled by the dealer who offers you something ‘just as good as Chater-Lea.’ There is nothing ‘just as good,’ nothing upon which you can rely for equal service and enjoyment. 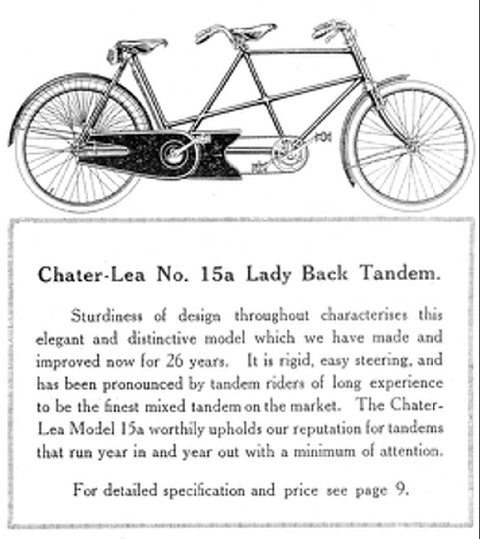 A Chater-Lea rigid cycle or tandem is an investment which you can ride and enjoy for many years, but an imitation will be a source of regret until you sell it. 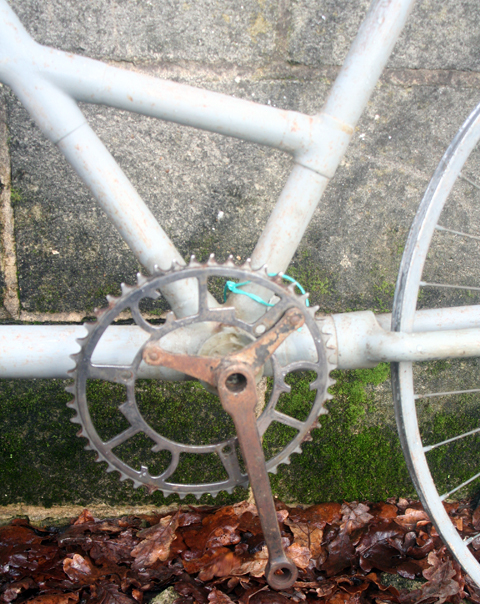 Pride of ownership is the instinctive feeling of riders of a Chater-Lea. It is dainty, elegant, looks good, is good. 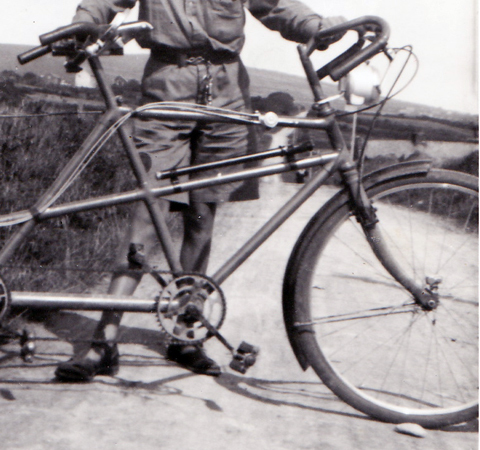 Charles Alexander bought this 1925 Chater Lea tandem in 1926. 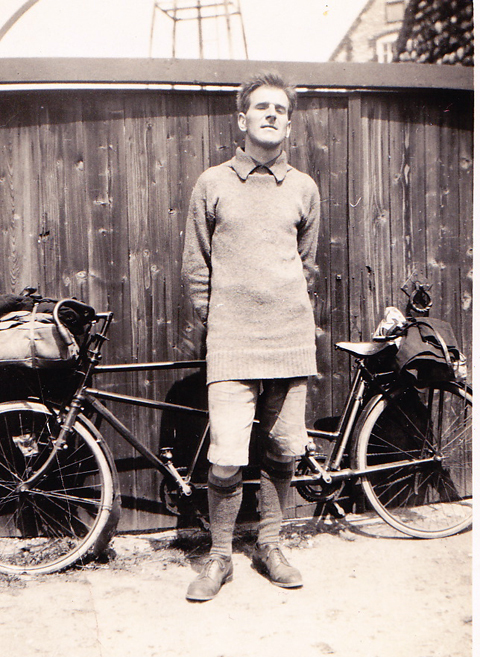 As soon as he was old enough, his son Edward accompanied him on tours as stoker. After he finished using the machine, Mr Alexander Sr dismantled it. 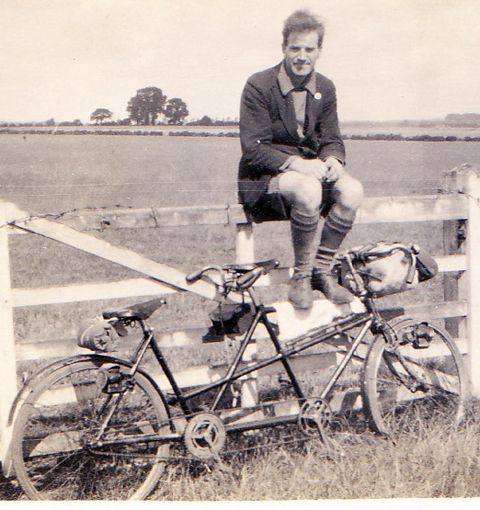 He died in 1994, aged 92. 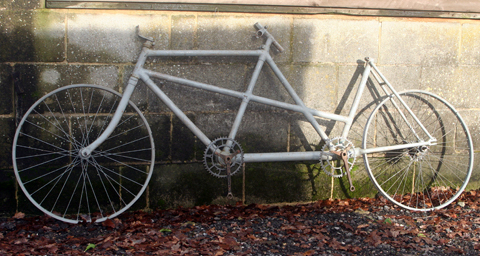 It’s still dismantled (and incomplete). 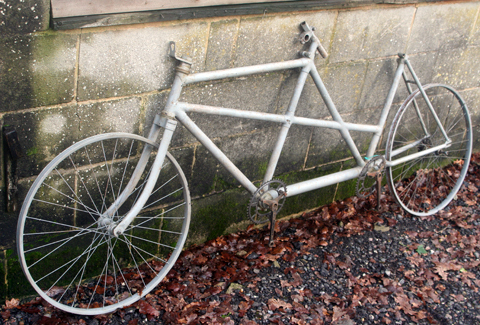 The Alexander family have given me the tandem so that I can restore it to its former glory. I hope to have it ready for summer. 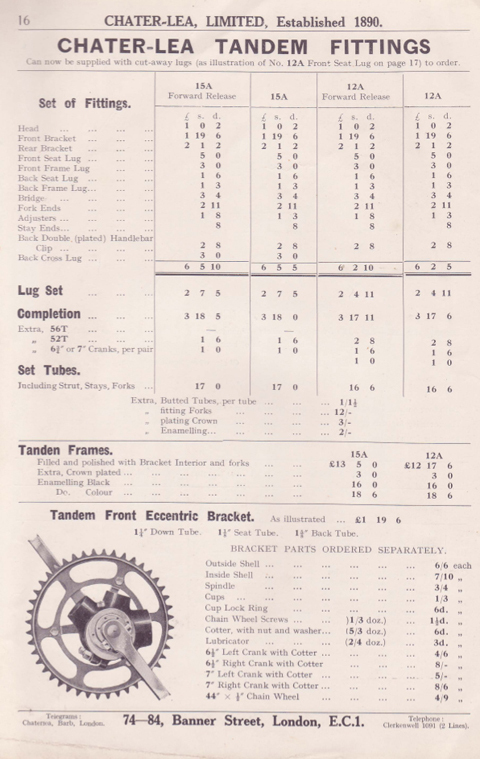 I’ll photograph its progress at the bottom of the page. 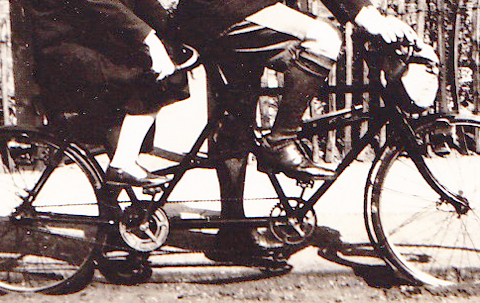 Here are the family’s pictures of the tandem being ridden by Charles Alexander. 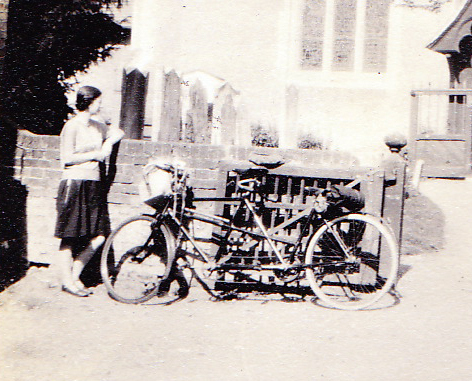 The above photo shows the Chater-Lea on 18th August, 1951, set up ready for a tour of Ireland. Charles Alexander is standing next to it. 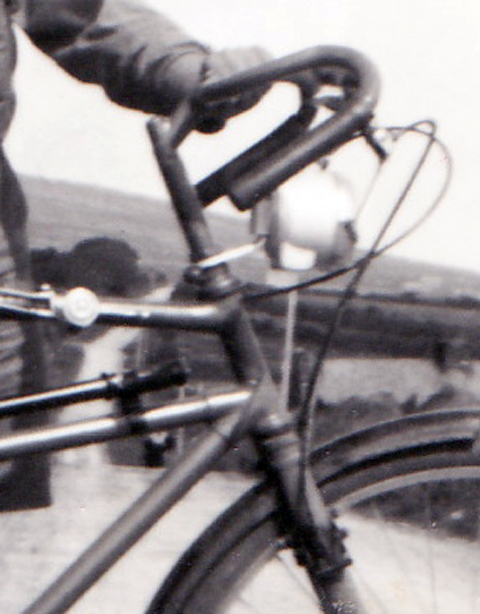 His son Edward accompanied him on the tour, and you can see him in the above picture. 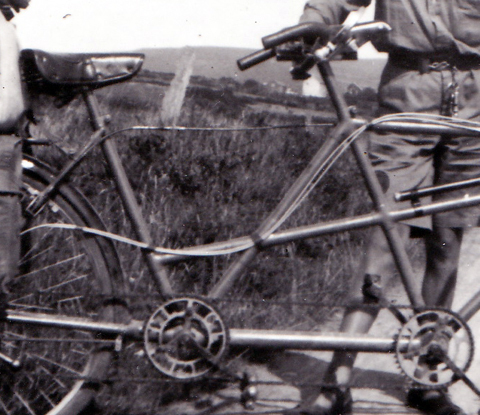 This photo was taken in Co Kerry on 28th August 1951. 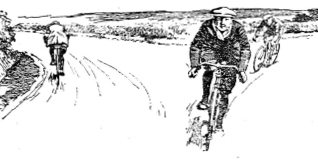 Note the dirt roads, typical of most roads in Ireland at that time. 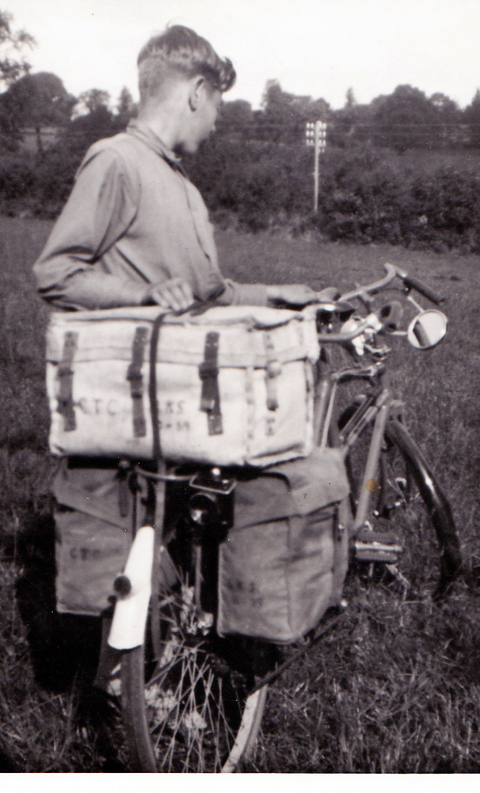 Edward told me the saddlebags weighed 80lbs with all the kit, which was not easy to manage even with two pedalling. 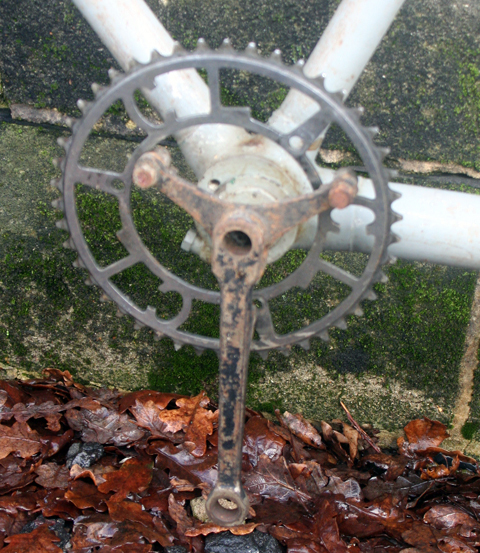 Charles fitted caliper brakes fore and aft, and 3-speed cyclo gears. 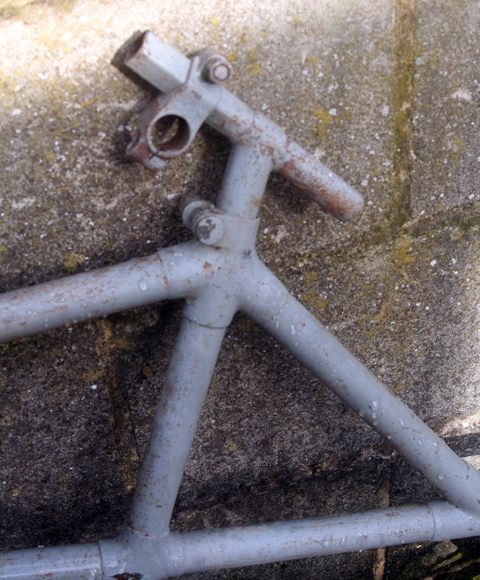 You can see the cable stretching across the rear part of the frame. As work progresses I’ll update this page. 114-120 Golden Lane, London, EC1. 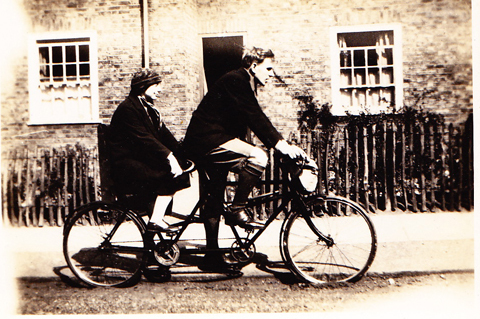 William Chater-Lea, born in 1860, received his early engineering experience with Linley & Biggs, the makers of the early Whippet cycles. 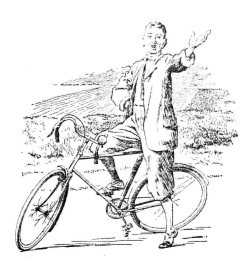 During this period he successfully competed in numerous road events until, in 1890, on leaving the firm, he started his own business making cycle parts. From this he developed the famous business of Chater-Lea, at Golden Lane, London, EC1. 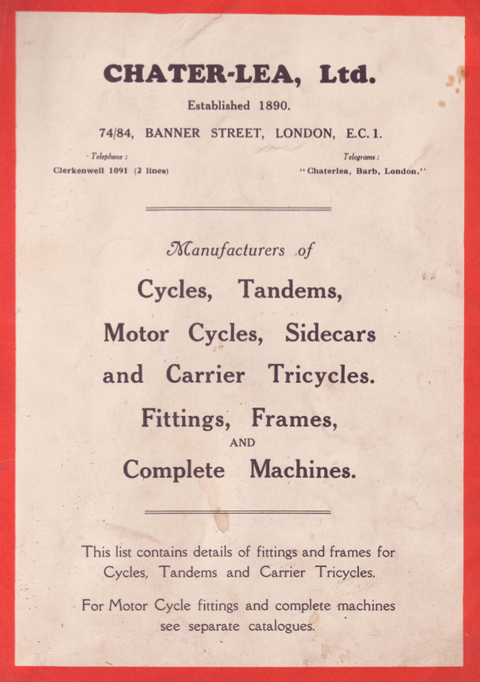 In 1900, like many other cycle manufacturers of the day, the company started designing their own motorcycles, using various proprietary engines. 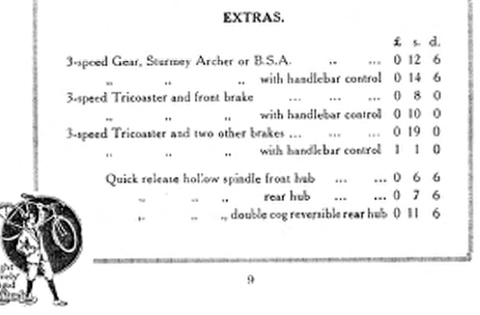 Some cars were also manufactured, starting with the 6hp Carette in 1907, and followed by an 8hp between 1913 and 1922. 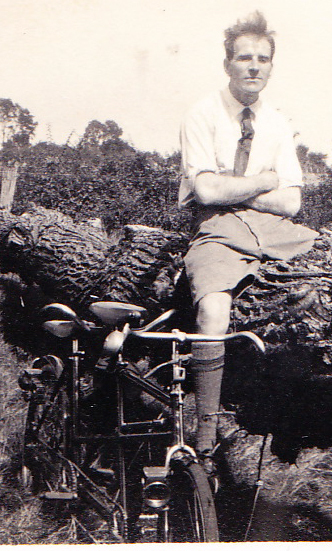 William Chater-Lea died as the result of a paralytic stroke on 15th September, 1927, at the age of sixty-eight. 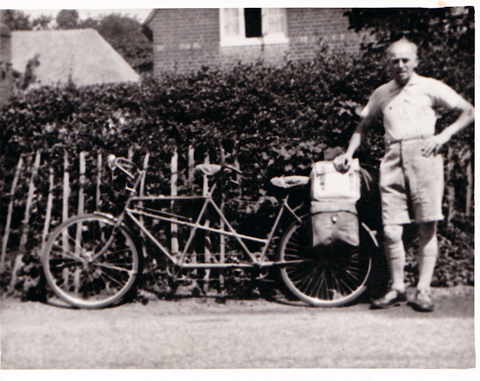 The company was taken over by his sons John and Bernard and, the following year, the company moved to Letchworth, Hertfordshire. 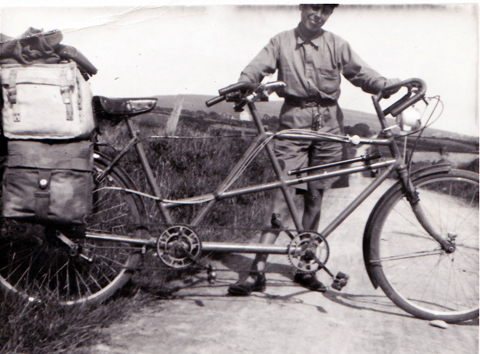 Sheppee used a Chater Lea Tandem with their 150cc engine to provide a motorized tandem. 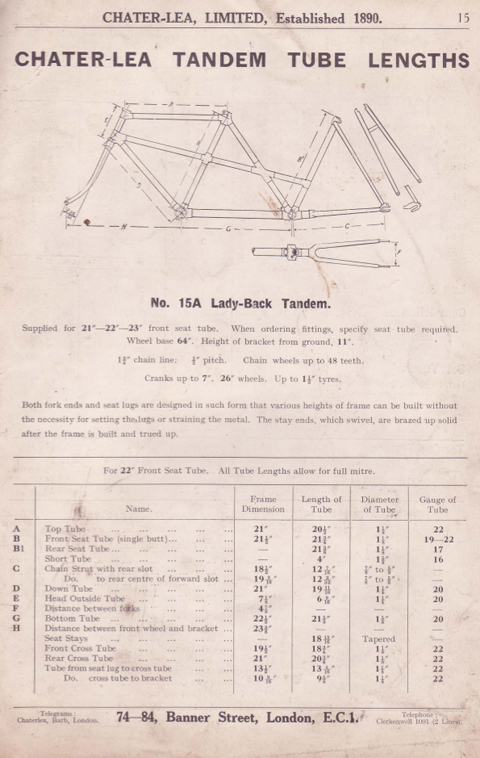 You can see in the illustration below the ’specially built drop frame’ for ‘riders of below average height.’ This was available as both bicycle and tricycle. The company did not charge extra for this service. 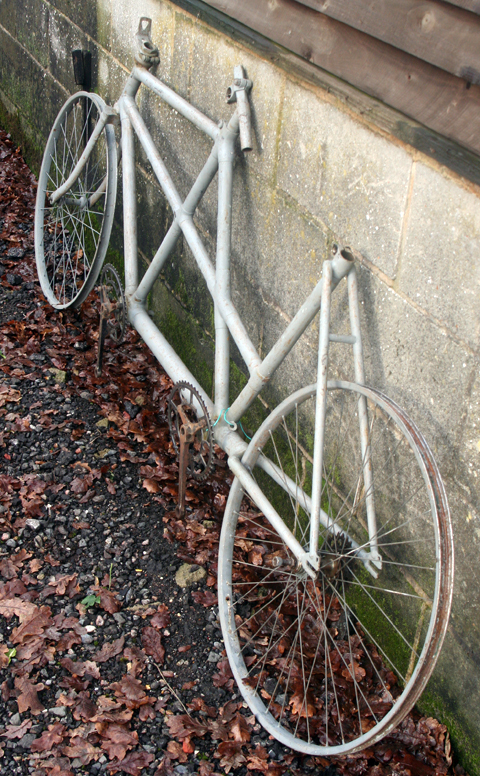 To see the Sheppee Cykelaid PLEASE CLICK HERE or scroll up a few pages on the right of this website.